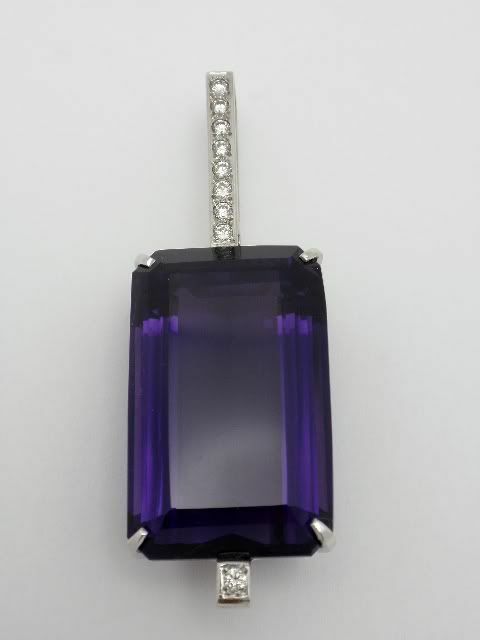 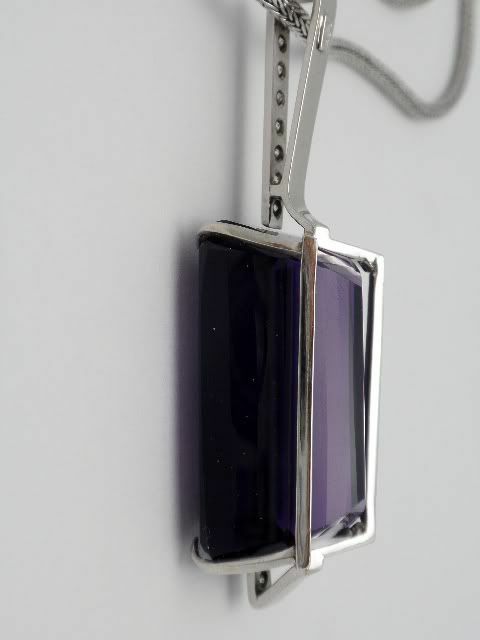 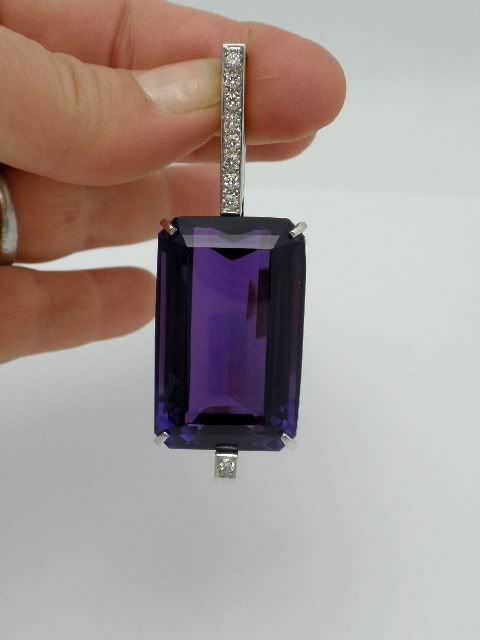 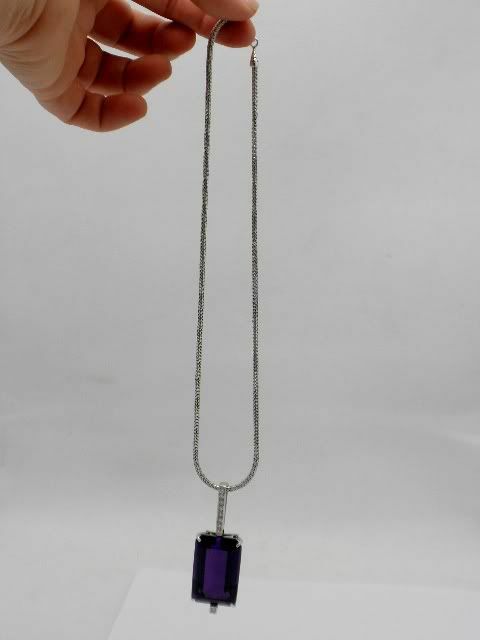 Up for sale we have an amazing custom made 14k white gold amethyst and diamond contemporary pendant. 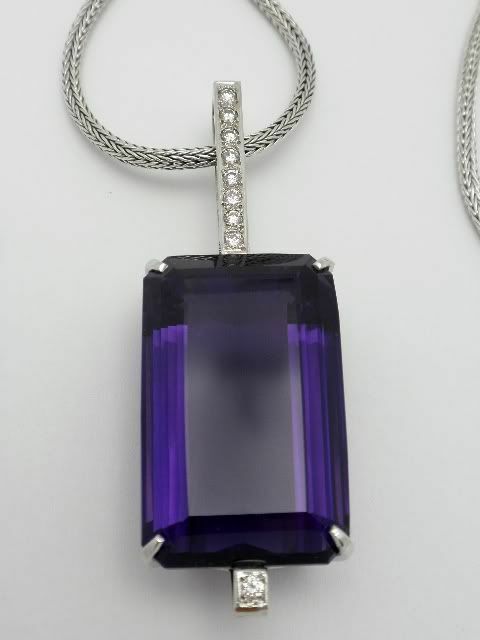 The pendant was custom made by our Master German Goldsmith Werner Theobald and is a one of a kind piece. 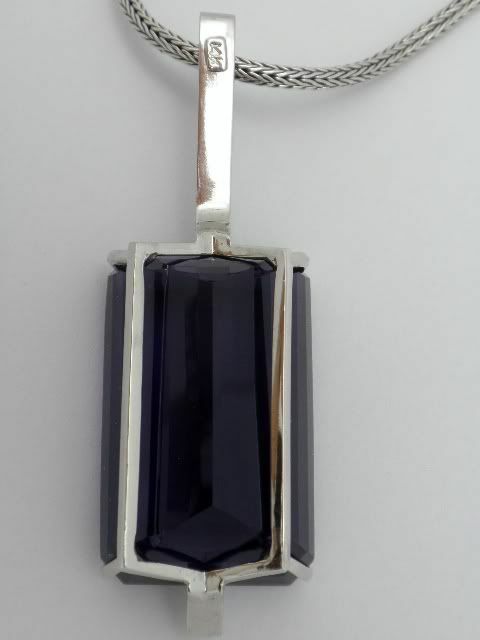 The white gold in the pendant alone weighs a meaty 1/4 oz. 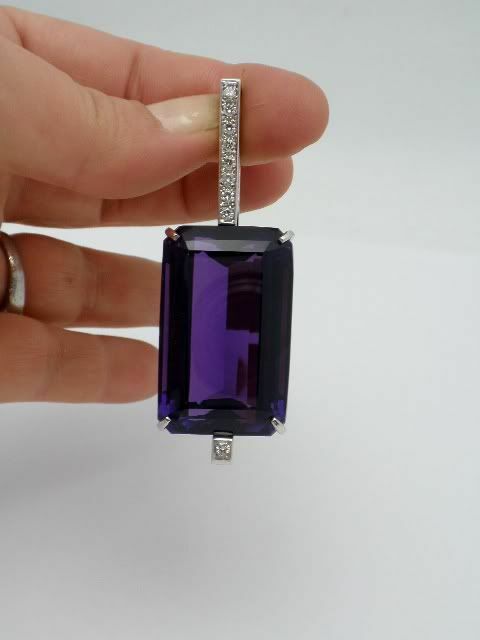 The genuine amethyst stone alone measures 35mm long by 22mm wide and weighs a whopping 101 carats. 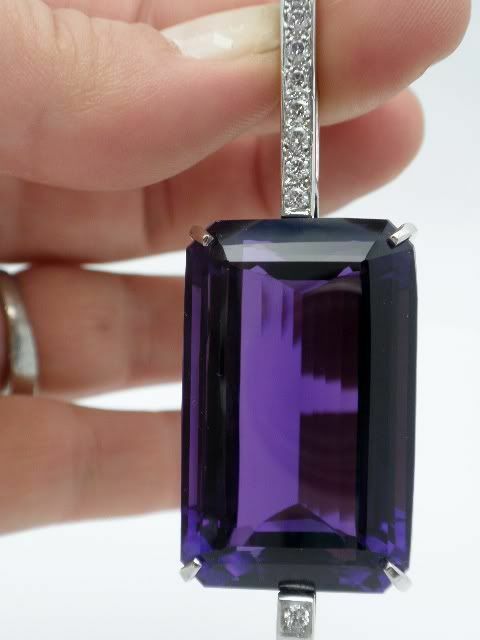 The stone has incredible color and clarity with no flaws. 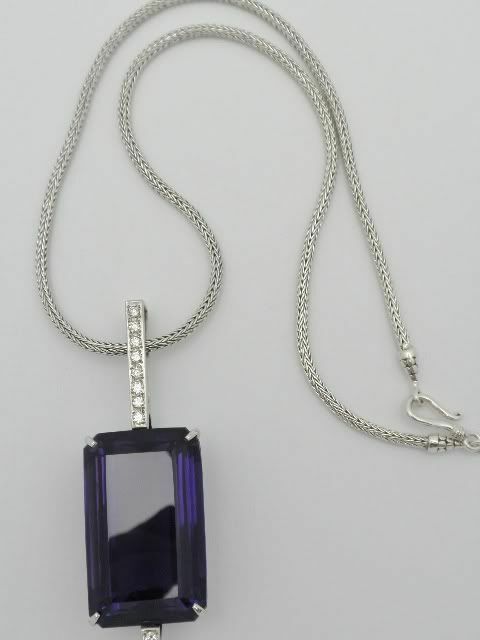 With the bale the pendant measures 45mm long. 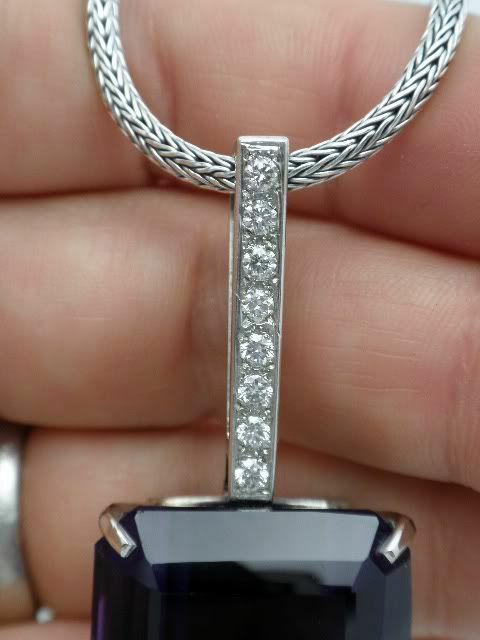 The bale is bead set with nine .05 point blue white brilliant cut genuine diamonds for a combined weight of .45 points.